Boost your cycling performance with our cadence and cycling speed sensors: find out what your most efficient pedaling rate is and measure your speed and distance accurately. The sensors included in this set work with Bluetooth® Smart technology and consume very little power. You can later analyze your training in the Polar Flow web service. 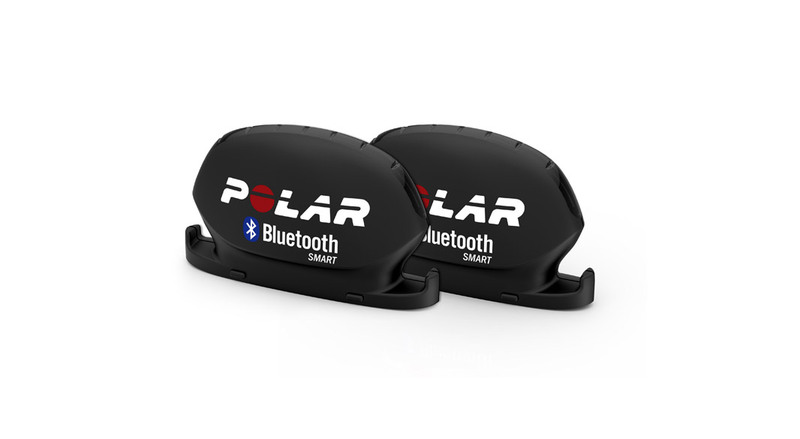 Connect your speed and cadence sensor set with your smartphone. Compatible with iPhone 4S and later, and with selected Android devices including Samsung Galaxy S3 and S4 using Android 4.3 or later. Check all compatible devices.